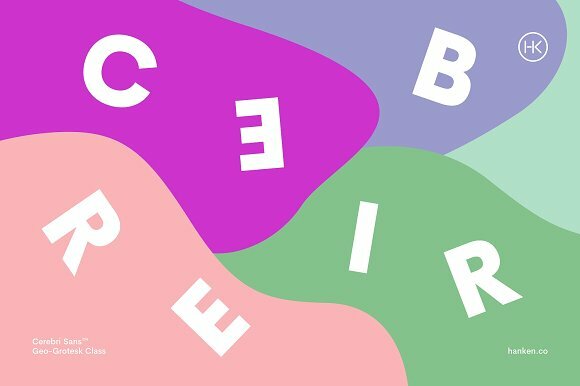 Cerebri Sans is a sans serif typeface created by Hanken Design Co which is available in 16 styles, 8 weights (from Light to Heavy) and their italics. This versatile Geo-Grotesk typeface is functional, elegant and it can be use for any kind of purpose. Cannot miss it! Styles: Light, Regular, Book, Medium, SemiBold, Bold, XBold, Heavy, Italics. A font description published on Monday, February 27th, 2017 in Fonts, Hanken Design Co by Alexandra that has 3,249 views.